I loved doing this wedding. It was so special and amazing. For this bride is wanted something very basic for her hair, slightly wavey and natural makeup. Sometimes for weddings I love doing all the glamerous and bold makeup, but I also love the simple and elegant. Loved helping this beautiful young woman for her photoshoot day. She was amazing and for this look wanted something that would stand out but not too much. We used Temptu Airbrush Makeup to create this look. this wedding took place at one of my favorite vendor location for a wedding, The Ice House in Phoenix, it seriously is gorgeous. photographer was by lumiere photography. They did an excited job, and captured alot of great moments for this couple. to create this look for this bride i used my all time favorite “baby breaths to add a little elegance to her hair and set her apart from everyone else. i used volume spray monat, if you are interested in trying this product let me know, its amazing and does wonders for your hair. I also used their hairspray to help from having any fly aways. i am now booking for 2019 if you have any question please feel free to leave a comment and dont forget to share. Hair I did on this beautiful bride and bridesmaid. (assisted by Juliet.) Wedding took place in Arizona, the weather was beautiful. we did a simple braid with a twisted updo. I seriously love what I do there is nothing better. Sure it has its days, but over all i love working with brides. 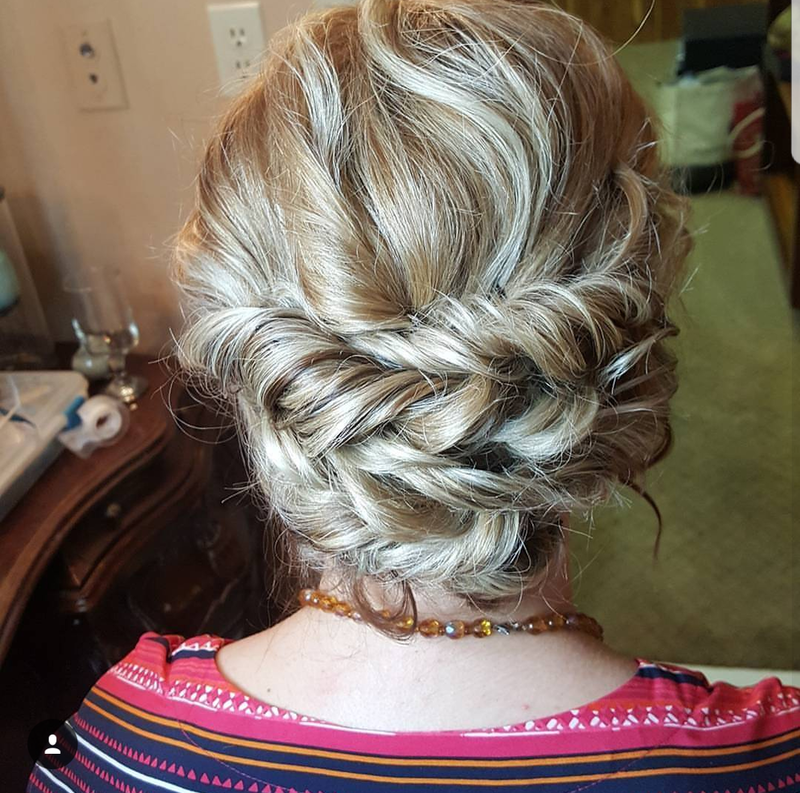 Here is a simple updo i was able to do this last weekend in Arizona. 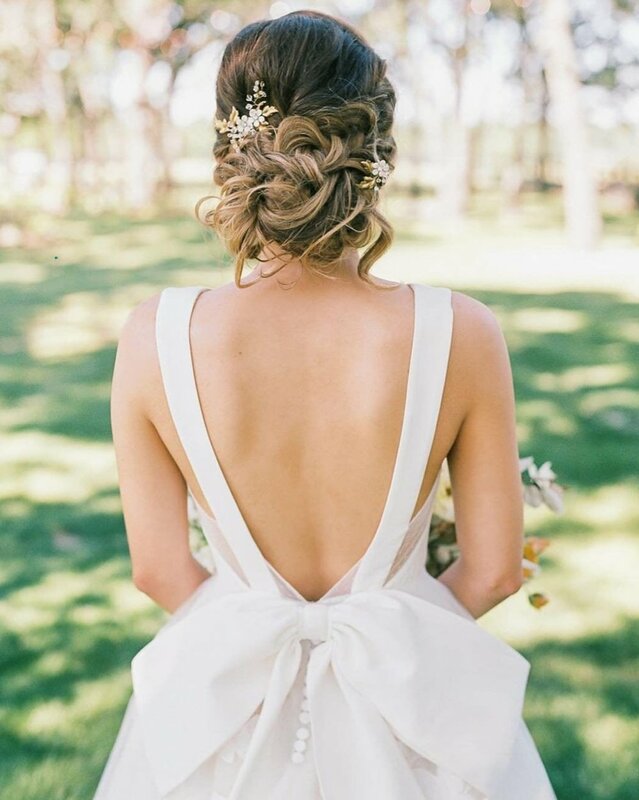 Beautiful hair for two beautiful brides. For this look we used extensions (Bomshell extensions.) Dry texture spray and volume dust to help create more voluminous braids. 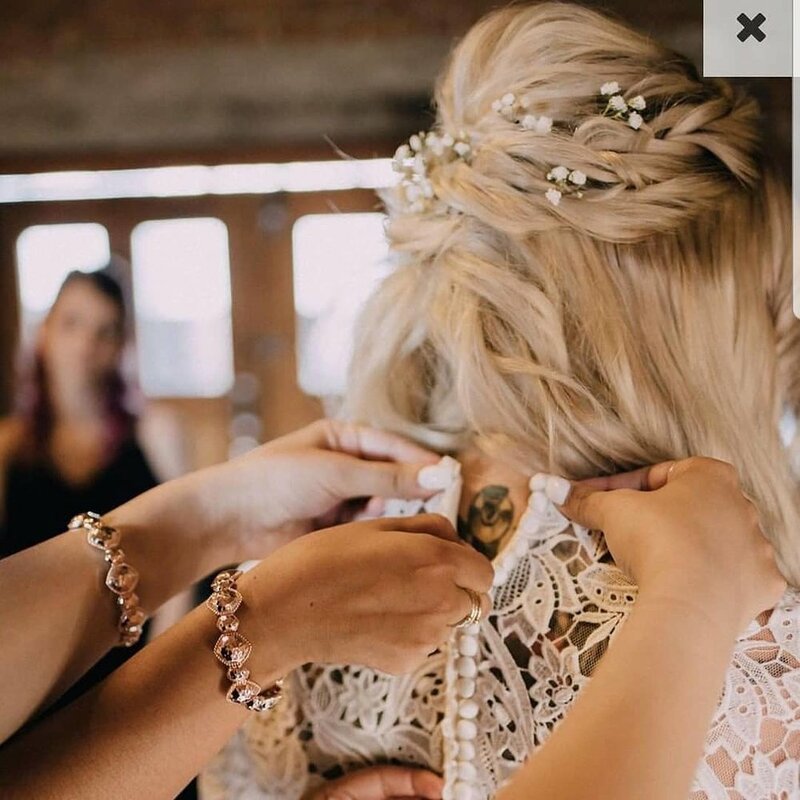 are my favorite, sometimes as a makeup artist and hairstylist you get a lot of people asking why do you love working with brides, or what makes you different than most bridal hair and makeup artist. 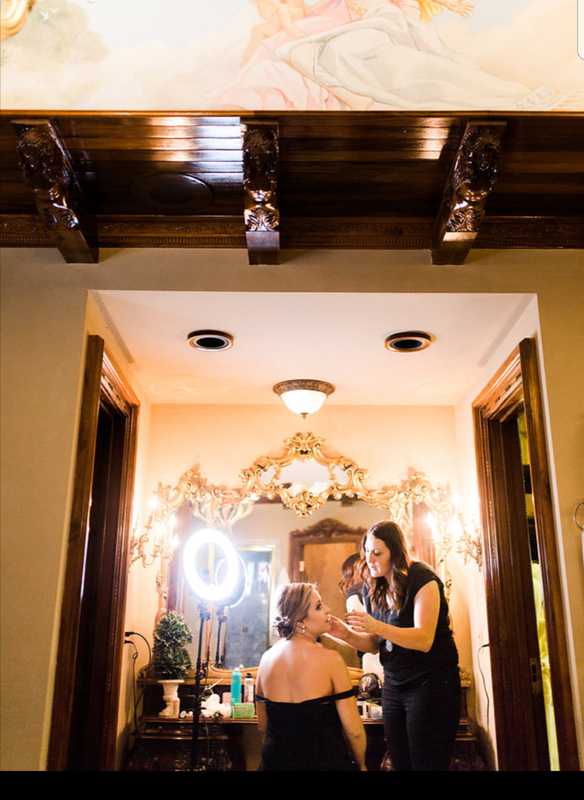 I love my job, yes there is stressful days, and moments when I want to pull my hair back and take a step back and sit down, but than as a makeup artist and hairstylist you have those moments when the bride looks at herself in the mirror and not only sees a beautiful person, but sees herself. My goal as a makeup artist and hairstylist is to help the bride feel and look beautiful without changing who she is, I want her to walk down the aisle and the groom still be able to recognize the young beautiful woman he fell in love with. It is not my job to take a bride and change what she looks like, it my jobs to enhance her beauty and her features. Sometimes in life we get so caught up in what we are not and too many woman comparing themselves to what they wish they were, that we forget how beautiful we all in our own way. I feel that is what makes me different as a makeup artist and hairstylist. I do not want to change the bride. Makeup is not a tool meant to make ugly things beautiful, it is meant to magnify the beauty that already exist. In her hair we used the halo extensions because she already had long hair just wanted more volume. We also colored the halo to be more of a dark red color and not blonde. For makeup we used Temptu Airbrush makeup for contouring and highlighting and cheek color, for the eyes we used the morphe Palettle. 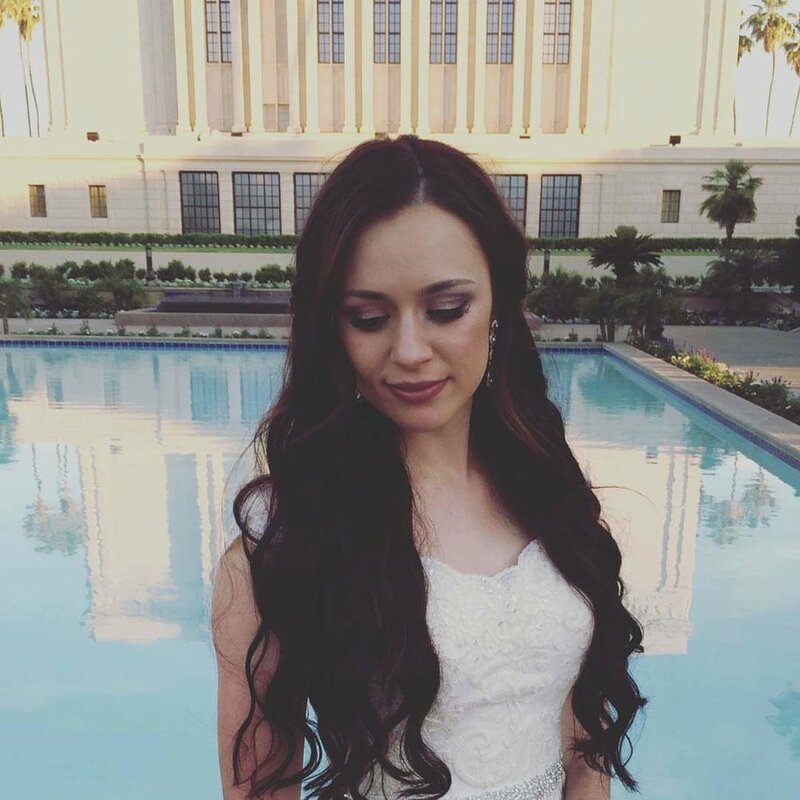 I loved doing the Hair and makeup (makeup bride only.) on this amazing bridal party. This wedding took place in Gilbert, Arizona. For this look I used airbrush makeup (temptu airbrush). Hydra system and I used Monat product for the hair. I was so lucky to do the hair and makeup for this bride and her bridesmaid. This wedding took place in Greer Arizona and the photography was done by Ashley Freeman. The hair for the bride's maid look the bride's daughter made the flower halo. 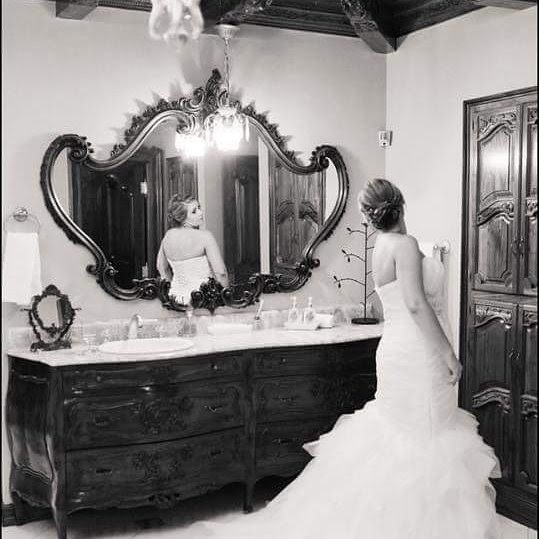 I had the opportunity to work with this amazing bride, the wedding took place in Scottsdale, Arizona. For her hair I did a classic braid to the side. The product that I used to create this look was Aquage Hair Products and 3T Mirco Wand, which I love and every girl who does not have this wand should definitely get it. Photography was done by Sarah Burton Photography you can follow her work on instragam @smburtonphotos. 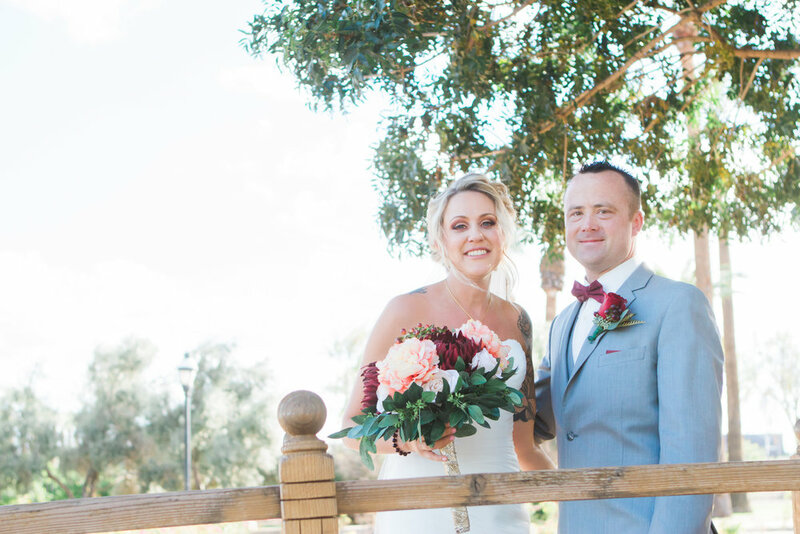 This wedding took place at the Orange Tree Golf Club, This venue was gorgeous and the weather was beautiful. Hair and Makeup was done by me. Makeup I used on the bride included: Airbrushed Temptu Makeup for the contouring and higlighting. I used the new Jaclyn Hill Palette for the eyes and esqido false eyelashes. Jessica Lauren Wedding was so magical. I seriously enjoyed every second of her wedding. The bridal room was amazing, I can see why a bride would feel like a princess at this place. Here is some pictures of the hair and makeup I did on the bride and little flower girl. I loved how this beautiful brides hair and bridesmaid hair turned out and could not wait to share these two looks with you. The first look I created using Unite Powder Lift and Oribe Texture Spray. I used Kendra tight hold hairspray and did a dutch braid on one side of her hair. This look is great for weddings because at a wedding you want to have fun and not have to worry about your hair getting messed up because of people hugging you and due to taking pictures you want to make sure you look your best and not have to worry about your hair falling out. I had the privilege of coloring this beautiful girls hair and placing extensions in. So i wanted to share some of the work and go over why I feel Tape in Extensions are the way to go. Tape-in extensions really do look like your natural head of hair. I've been wearing extensions for years, and I have friends and colleagues who don't believe me when I tell them. The bonds lie completely flat against the head and are so comfortable, I often forget about them completely — that is, until I catch a glimpse of my long, thick ponytail in the mirror (yup, you can even wear a ponytail). But keep in mind that not all hair is created equal. Matching hair density, texture, thickness, and color is critical to pulling off a seamless look. When shopping for a new head of hair, look for 100 percent human hair. My ultimate favorite Tape in Extensions are Bombshell Extensions. Tape in extensions if applied correctly cause no damage to the hair, Some people think that because they are thin hair that having tape in extension will place too much weight on their hair, when applying the tape in extension you (your stylist.) always wants to make sure you have a clean parting, and that the extension is placed not to close to the scalp to leave room for new growth of hair to grow. You also want to make sure that doing the consultation you are letting your stylist know ( If they are already not asking you the questions.) how you wear your hair everyday, where you pull it up , how high , do you wear ponytails asking these question are important to how the extension will lay in your hair. The best part about tape in hair extension is you can reuse the hair, so every 6 to 8 weeks you are not having to order new again. Now that you are convinced that tape in extension are the way to go, here is a list of my favorite pro tape in extensions. Never lighten the hair extensions (Always consult with your hairstylist about the shade that you want because real hair can not be lighten. When using heat tools make sure to use heat protecting spray. Every 6 to 8 weeks your extensions will need to be moved up again, (make sure to schedule this appointment in advance with your stylist. I am so excited to announce this coming November I will be trained in the Natural beaded row extensions. Anyone who knows me knows that I love extensions and right now I offer Tape in extensions, keritan extensions and clip in. A lot of people have had bad experiences with extensions and I have had A lot of clients come into the salon feeling overwhelmed and a little scared about training extensions. These extensions are super light on the hair you do not even notice that they are in, also instead of spending the whole day ata salon you are only you g to spend 30min. to an hour to install the hairThe hair is thick and full which makes it great for those who have really short hair. To book a consultation please reserve your spot for November, You can go to the tab above and click online booking there you will see a tab for Natural beaded row consultation. these extensions were done by Natural beaded row.